Cream vanilla and butter in a powerful and tasty mix. If you love sweets but like a slightly sharp note to balance the taste, Metaphor is made for you. 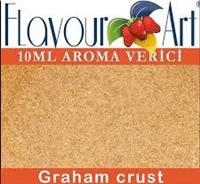 A light and crispy cream cake with vanilla and citrus fruits ... a genie in a bottle. A milky flavour carefully blended with the sweetness of freshly cut fruit ... the perfect continental all day breakfast! A vibrant dessert of coffee, cream and cereals, but with a slightly alcoholic aftertaste (just the taste obviously.) UP, pure energy for your senses. Ideal for the feeling of a morning jolt or used in combination with other flavors. The bitter taste and sumptuous aroma of Coffee Espresso is sure to keep you energized. The king. Deep and everlasting taste. 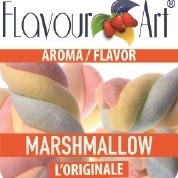 New Juicy Strawberry Flavour from FlavourArt! The flavour of chocolate milk combined with red fruits and hazelnuts. An explosive mix, ready to kickstart your day.